Tomarata is an area of rolling green farmland to the north east of Wellsford town. It's special for Tomarata Lake, one of three dune lakes that sit between hills and forestry and provide a beautiful, tranquil setting for walking, swimming, water sports or a picnic. Slipper Lake, Spectacle Lake and Tomarata Lake were created around 12,000 years ago by the formation of sand dunes along the coast that, preventing inland water from running out to sea. No rivers or streams flow into these lakes; their water comes from rainfall as well as water seeping up through the sand. Tomarata Lake is available for boating and water skiing (there's a boat ramp for easy launching) as well as swimming, jet skiing, kayaking and paddleboarding. 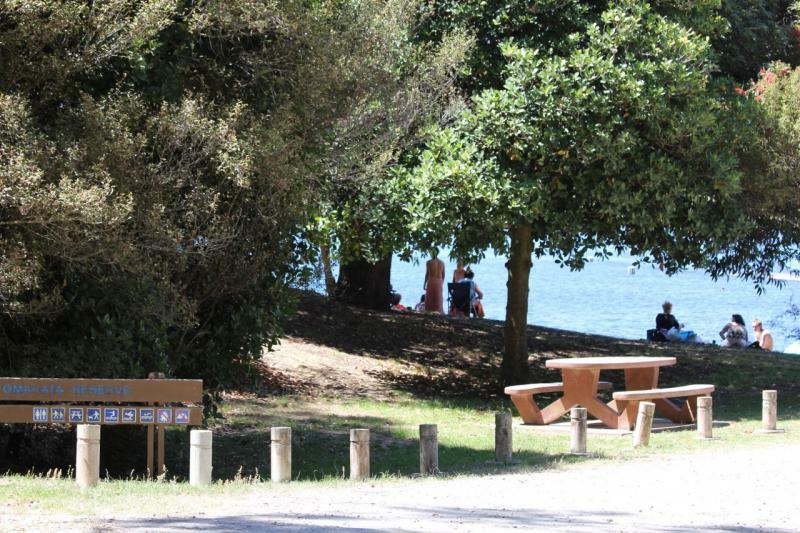 There's plenty of parking and excellent picnic spots and a walk way around the lake is a great place to stretch your legs. Allow about 30 minutes drive from Wellsford town, because the route to Tomarata Lake involves metal roads. Turn right off State Highway 1 into Mangawhai Road, then right on to School Road which then becomes Oceanview Road. Atkins Road is off to the right, drive 1.5km then turn right to Tomarata Lake.